Our manifesto is simple, just like our pump design: our industrial sump pumps handle your most challenging materials, regardless of flow and pressure fluctuations. But our path to manufacturing the leading pneumatic sump displacement pump wasn’t quite as simple. 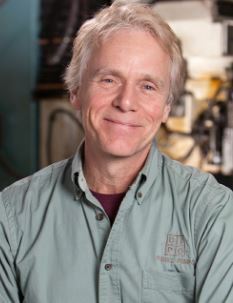 When our founder and president Matt Vetter entered the market, he quickly identified a major gap created by the physics involved in conventional pump design, particularly centrifugal pumps: The constant flow rate and pressure that centrifugal pumps require meant that any single given pump would have a narrow operational range, inherently unsuitable for the wide variety of solids, slurries and other materials that industrial pumps must contend with. Matt realized that his work with downhole pumps for oil/water applications could provide valuable insights into ways to overcome this challenge. We had to start slow, matching limited application knowledge with early pump design. The knowledge and the designs have been building off of each other for years now, contributing to an organic type of growth and the creation of a do-it-all industrial sump pump. And we mean “do it all” in a very literal sense. Unlike conventional pumps that operate within rigid parameters, our industrial pumps – consisting of a hollow chamber and two check valves – can handle fluctuating flow and pressure rates, as well as heat, chemicals and all manner of solids, well beyond the capabilities of conventional pumps. Instead of being another version of the same thing, Pitbull pneumatic displacement pumps have become the industry problem-solver, with superior, albeit simple, technology and lower ownership costs as the major selling points. Our reputation as a technology leader and problem solver has contributed to our success, helping us secure new business, largely through word of mouth. But the underlying reason for our continued success is our company culture: We truly care about the outcome of each pump application. If you’re looking for an industrial sump pump backed by that level of dedication and concern, you’re looking for Pitbull pumps. Contact us today to see how we can help solve your pumping challenges.